The new $100 bills are set to go into circulation next year. A baggage handler for US Airways was arrested Tuesday for allegedly stealing $20,000 worth of new $100 bills being shipped to a Federal Reserve facility. The FBI accused 25-year-old Alex Price of Philadelphia of stealing the bills earlier this month after they arrived at Philadelphia International Airport on a flight from Dallas. The bills, part of a shipment of roughly $192 million in cash, were discovered missing when the rest of the money reached a Fed facility in New Jersey. Contact information for Price's legal representation was unavailable. US Airways (LCC) referred questions to the FBI. 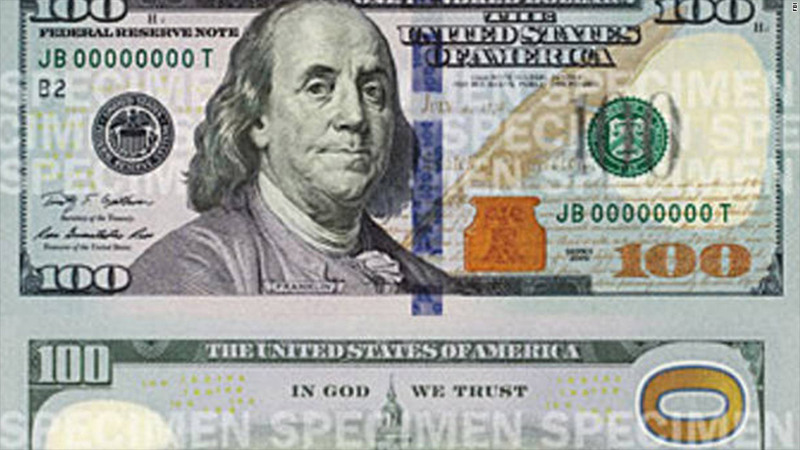 The bills in question carry a design that is not slated to reach circulation until 2013. They feature a large gold "100" graphic on the back, and an orange box on the front with a faint image of the Liberty Bell. According to the affidavit in the case, Price confessed to the theft under questioning from the FBI and led law enforcement officials to the missing money, which was allegedly discovered in his car.